Powerful and user-friendly tools for data analysis and interpretation. 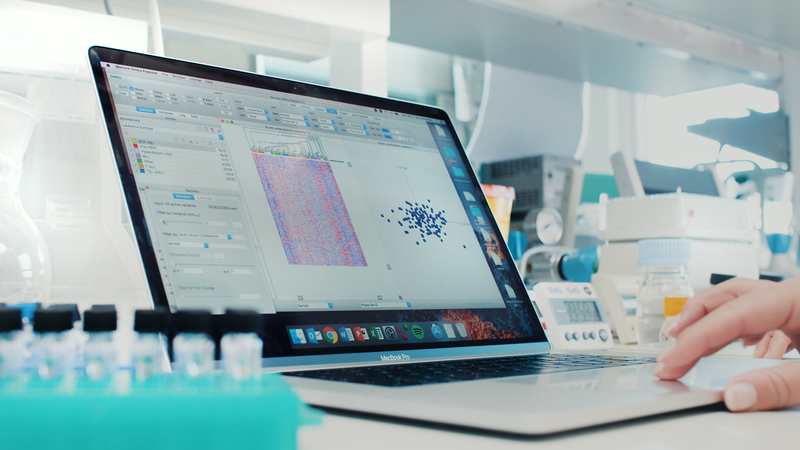 The combination of Qlucore Omics Explorer and Genevestigator allows users to easily analyze and interpret RNA-Seq experiments, both individually and in the light of publicly available expression data. Qlucore Omics Explorer and Genevestigator are two complementary tools/services, which when used together provides the end user with increased value and analysis options. The combination enables the user to start with their data set in Qlucore and then benefit from biological insights generated in the context of a large expression data compendium in Genevestigator. The amount of gene expression data being produced in labs around the globe is exploding, particularly the use of RNA-Sequencing. The decreased experimental costs have made the technology accessible to the broader research society. However, the data is complex and bioinformaticians are sparse. Qlucore Omics Explorer provides easy-to-use statistical tools and state of the art visualizations, empowering biologists to analyze their own data and achieve high quality results and conclusions. There is a tremendous amount of expression data available in public repositories that could bring valuable and diverse biological insights, but are rather heterogenous and difficult to analyze. Genevestigator brings structure to public expression data and can be used to view gene lists in a biological context, get insight to their expression patterns and help design the next experiment. Genevestigator provides the user with a large database of highly curated gene expression studies, together with flexible tools designed for meta-analyses. 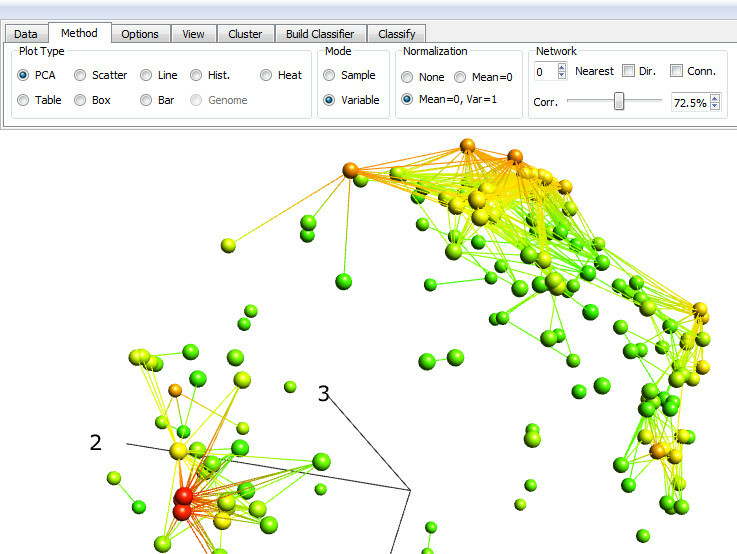 Qlucore Omics Explorer (QOE) focuses on dataset driven exploration and analysis. Click on the use case documents below to learn more about the benefits of using the combination of these tools. Meta-analysis and statistics of public and proprietary gene expression data.